Thursday, June 8th, 2017, 6:30 p.m.
UN Security Council Resolution 1325 was an important step: Calling for greater involvement of women in the planning and conduct of peacekeeping missions and in peace negotiations, it acknowledged the role(s) of women in conflicts and underlined the potential of a more comprehensive peacekeeping approach. Studies demonstrate that sustainable peace agreements are more likely when women exert influence in peace processes, mediation and post-conflict reconstruction. In reality, however, up until today women rarely take part – a missed chance for conflict-affected regions. Which role(s) do women already play in decisions about war and peace, which role(s) could they play in the future? How could a more inclusive approach improve peacekeeping and conflict management? How does the security discourse have to be transformed to realize women’s full potential in conflict transformation? In order to discuss these and other questions, Polis180 and the United Nations Association of Germany (DGVN) invite you to the screening of “A Journey of a Thousand Miles – Peacekeepers” followed by an open discussion. The documentary follows three women from Bangladesh who join the United Nations Stabilization Mission in Haiti (MINUSTAH) as part of an all-female, predominantly Muslim peacekeeping unit. 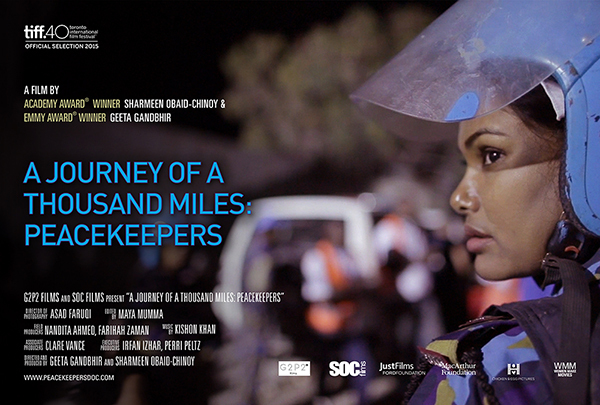 The documentary vividly depicts the obstacles women face in the peacekeeping-context, but at the same time emphasizes the protagonists’ strength and exceptional commitment. Thereby, it invites us to re-think traditional images and understandings of peacekeeping operations and security policy more generally. The film will be screened in the original version with English subtitles. The subsequent discussion will also be held in English. Admission is free, but due to the limited number of seats registration via the DGVN Website is obligatory. Sorry, the event is booked out! 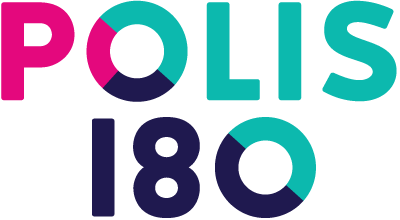 In case of questions please get in touch with Polis180’s main organizers Britta.Gade@polis180.org and Cora.Berner@polis180.org! We look forward to welcoming you at Eiszeit Kino! Polis180 would like to thank the United Nations Association of Germany (DGVN) for the excellent cooperation and their generous support of the event.